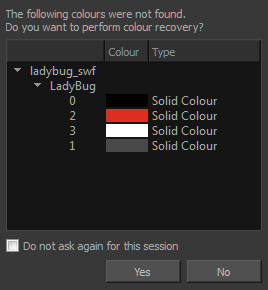 You can import .swf files in Harmony that were published using any version of Flash Player, up to version 14. 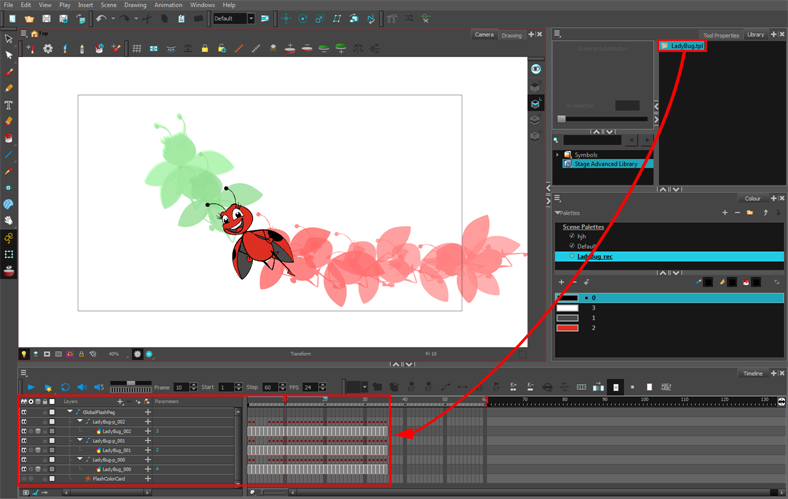 Note that some effects may not appear when imported in Harmony—see Guidelines for Creating a Flash File Before Exporting to Harmony (Effects and Drawing Features). ‣ In the top menu, select File > Import > SWF, Illustrator Files to Library. ‣ Right-click on any unlocked folder and select Import Fi les. In the Camera view, select the drawing that contains elements you want to redistribute onto individual layers. To select the all the elements of the selected drawing layer, press Ctrl + A (Windows/Linux) or ⌘ + A (Mac OS X). ‣ From the top menu, select Drawing > Distribute to Layers. ‣ In the Tool Properties view of the Select tool, click the Distribute to Layers button.